Chili rice bits are made from rice and a kick of spices. They are an elongated (about one inch) shape and of orange-reddish color. 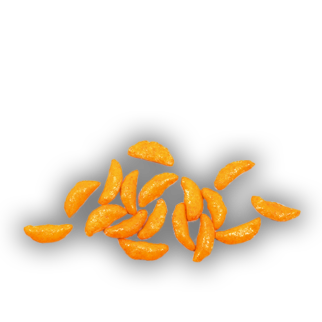 Rice cracker chili bits can be included as part of mixes or purchased separately. Red River imports chili rice bits from China.